With the alien spaceship Bell defeated, the Magic Club is left to tackle other problems Turning the Bell into a giant cherry tree saved everyone, but it's becoming a nuisance. Even though they've pulled off some big feats of magic, they still struggle with the side effects. 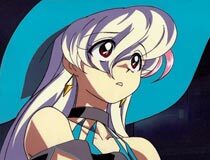 Which makes it strange that a mysterious figure known as Juriko is keen to encourage even more mischief with magic But why? Sei and Takeo: what's up with these two? Will they ever be honest with their feelings? While Nanaka confessed to Ayanojyo, he doesn't reciprocate her feelings. Still, she can't to let go so easily. Is Ayanojyo really not interested? These questions to be (mostly) answered in the Magic User's Club TV series. 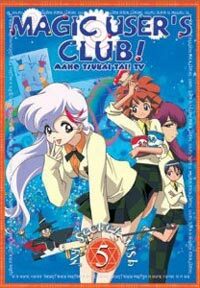 The Magic Users Club OVA is one of my favorite anime titles, and I still consider it one of the best shows out there. Many titles have transitioned to a TV series with success, but I can't say I count this among them. Not to say its bad, it's just very disappointing; particularly how it loses nearly all of its charm and becomes very... boring. The story pace is slow, many episodes have no point, and aren't interesting either. It's bad enough to say it takes fortitude to plow through the beginning. If you do get past that, the series is just okay. While still missing something in the comedy, it does get a little of its charm back. Just not enough. The main characters don't develop much past where they were before, but fair well enough. The other characters have problems. 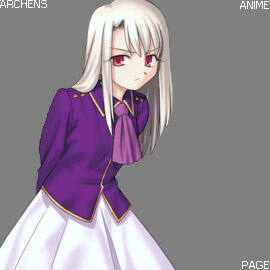 Juriko is a mysterious force in the backdrop, but tends to be annoying more so than ominous. Letters are written to someone named Miki each episode, but we have no idea who she is, or how she relates to anyone. Yet in the second to last episode she rides in from out of nowhere to save the day. It's like a school play of Snow White with Batman dropping from the rafters to fix everything at the end. Then everyone just rolls with it. The direction of the anime was poorly thought out, and it shows. If you're a fan of the OVA like I am, you'll like seeing more of the Magic Users Club... maybe. Just make sure you have a cup of coffee handy. It's no where near the OVAs quality, and not particularly satisfying in that regard. If you haven't seen the OVA, watch it.